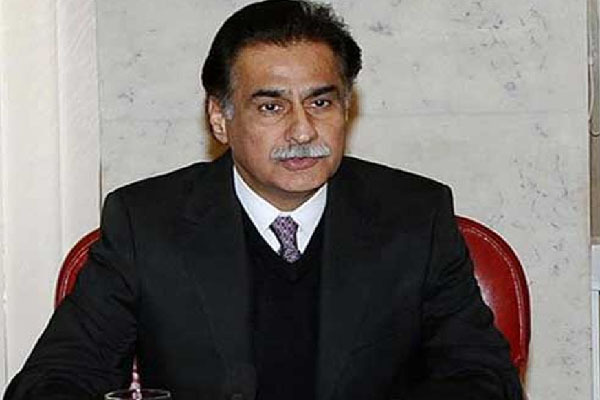 ISLAMABAD, July 26 (APP): Speaker National Assembly Sardar Ayaz Sadiq Tuesday said friendship between the Turkey and Pakistan was time tested having roots in history. “This fact cannot be denied that Turkey has always been a friend in need and stood by Pakistan in difficult times” he expressed these views in a meeting with Turkish Parliamentarians Burhan Kayaturk and Baris Karadeniz. Turkish Ambassador Sadik Babur Girgin was also present in the meeting. While discussing the recent situation in Turkey, the Speaker paid rich tributes to the Turkish people for their resolute support to democracy and rule of law by foiling the coup. “We express our complete support and solidarity with Turkey, the democratically elected government of Turkey and the democratic institutions of Turkey. Pakistan Parliament reaffirms its abiding interest in a democratic, peaceful and stable Turkey” he added. Ayaz underlined the need for an enhanced interaction between the parliamentarians of both the countries for further cementing the fraternal relations between the two countries. He said the parliamentarians of two sides could play a meaningful role in the region as `parliamentary diplomacy could enable the real policy makers to understand each-others’ points of view, better. He called for greater interaction between business communities of both the countries to tap the immense economic potential especially in the trade and manufacturing sectors. Turkish delegation thanked the Speaker’s sentiments for Turkey and assured Turkish its all-out support to Pakistan in diverse field. They also agreed with Speaker and said that Turkish Parliament would be delighted to enhance its relations with Pakistani Parliament so that understanding and cooperation between both the countries could be further pursued. They assured the Speaker to take up the issue with the concerned quarters so that the areas of bilateral cooperation could be explored. The Turkish delegation lauded the support of people, parliament and the government of Pakistan for democracy and rule of law in Turkey. The delegation appreciated the stance of entire nation of Pakistan regarding coup in Turkey and the solidarity with Turkish people.